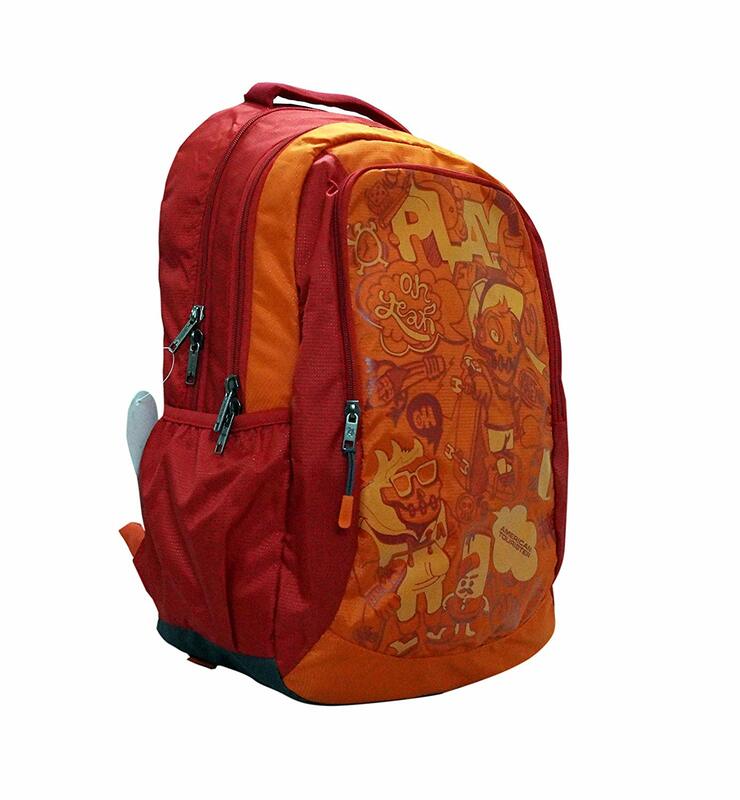 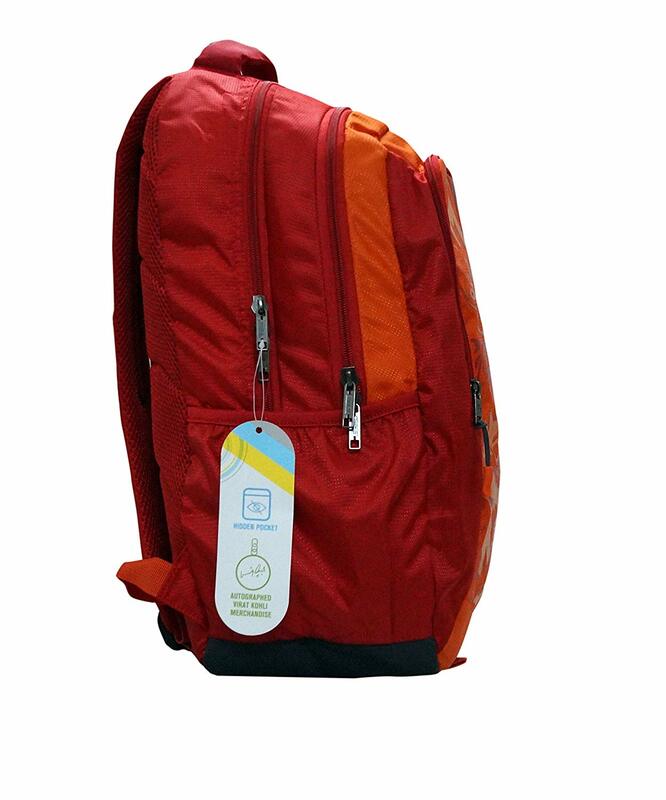 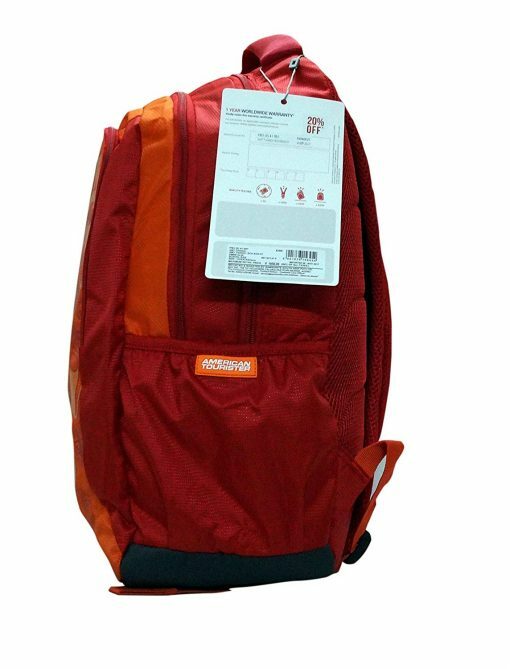 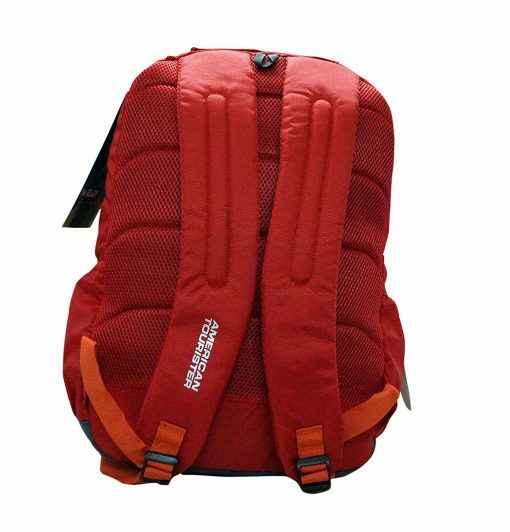 Bring home this backpack from American Tourister to improve your accessory collection. 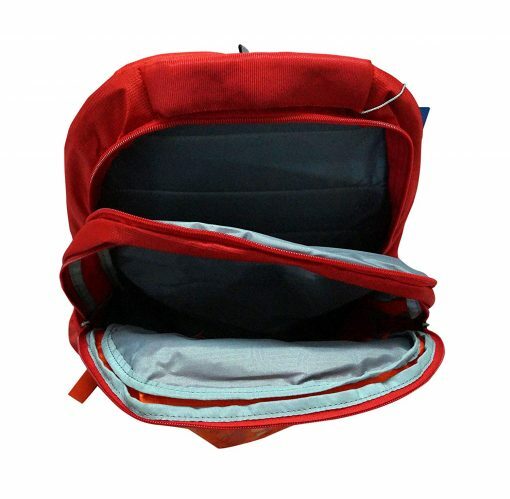 It comes with a quirky printed pattern at the front that enhances its design, while the mesh pockets at the sides will help you to carry your bottle and other essentials. 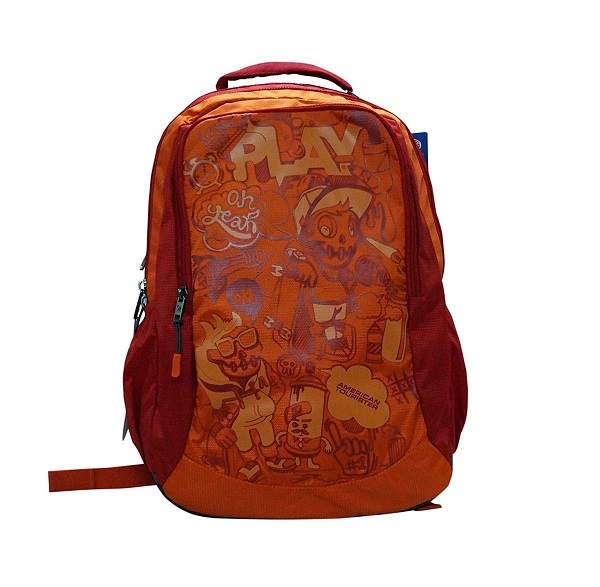 It also has a nice finish owing to the use of a synthetic material.